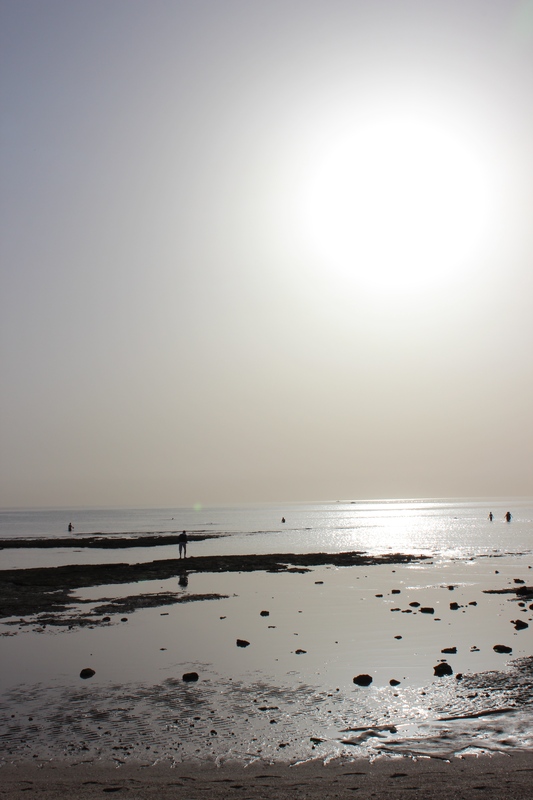 We Discovered Something Awesome . . . .
Just before we moved to Kuwait, Rachel wrote a blog post entitled Things I Will Miss. She listed a few of the things she was going to miss the most about Minnesota. One of the things she mentioned was her favorite restaurant: Chipotle. We have only been in Kuwait for a couple of months, but we have already made a plan to visit Chipotle as soon as we return home next summer. We’ve promised each other that as soon as we arrive at the airport, we are going straight there! 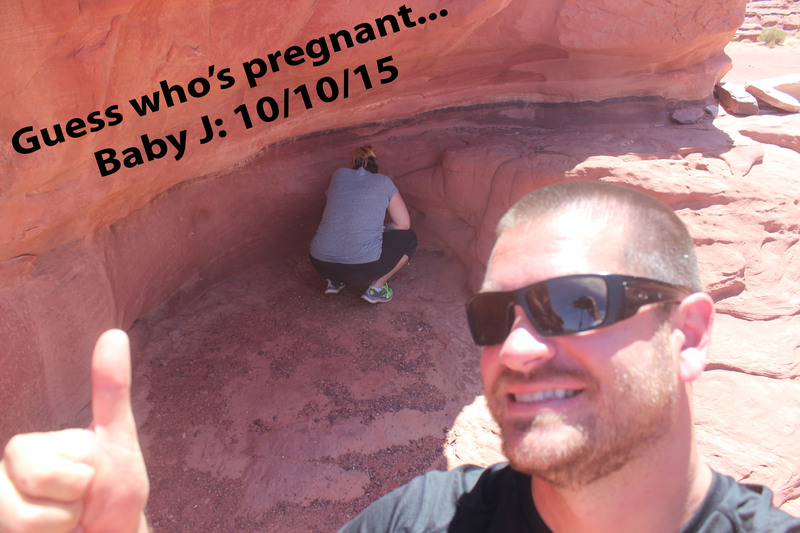 Well, a couple of weeks ago we discovered something awesome! A friend of ours discovered a new restaurant that just opened a few days earlier called Adobo Burrito. 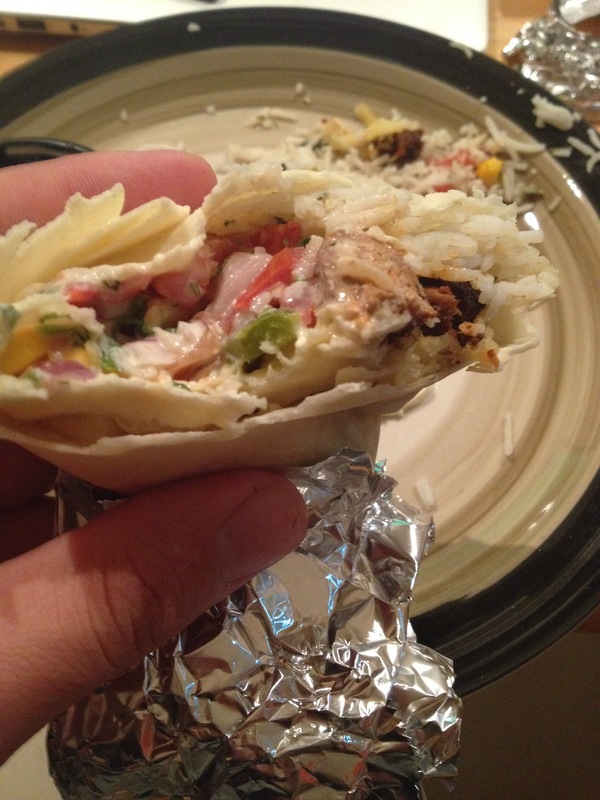 He described it as similar to Chipotle, and we both thought to ourselves, riiiiiiiight! We both knew that there was no way possible that a place could be even close to as good as Chipotle was. However we have been craving it since we got here, so we went to give it a try. Kuwait City is a major metropolitan area, but we were lucky to find out that Adobo Burrito was only about a 15 minute walk from our apartment! As soon as we walked in, our jaws dropped! Inside, it looked almost exactly like Chipotle. It was laid out the same, similar decorations, and had that same “industrial” look with the corrugated metal on the walls. We were immediately greeted by the owner, a young Kuwaiti guy who just moved back here from Washington D.C. We checked out the menu boards and the food line, and it was just like Chipotle! You could order a burrito or a bowl with cilantro-lime rice, beans, fajitas, corn salsa, pico de gallo, cheese, and everything else! 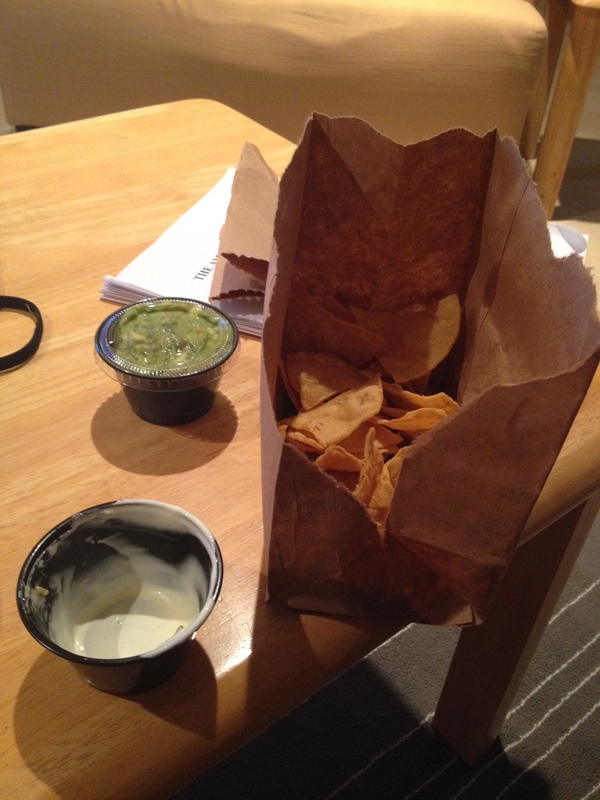 They also had homemade tortilla chips with fresh guacamole that tasted so good! To be honest, I don’t think it was quite as good as Chipotle, but it was dang close. We definitely enjoyed it, and it will keep us going until we get back to Minnesota next summer. 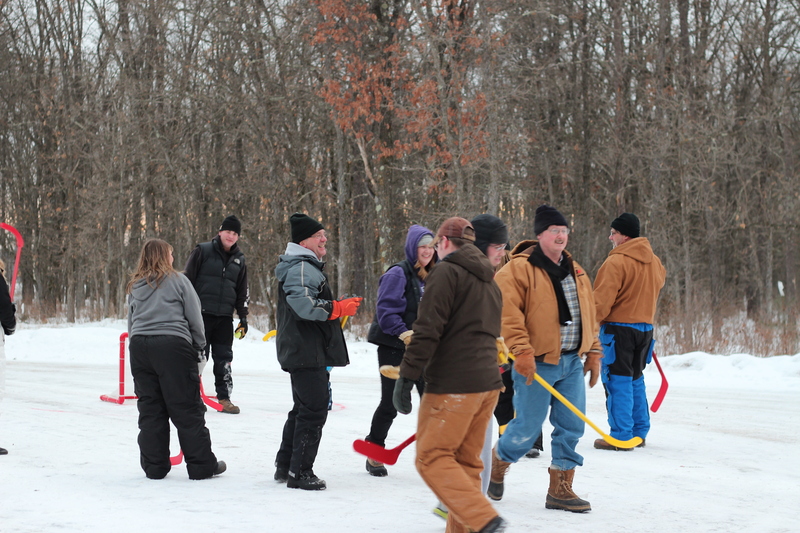 You might be a Minnesotan if…. You might be a child of the 90’s if…. 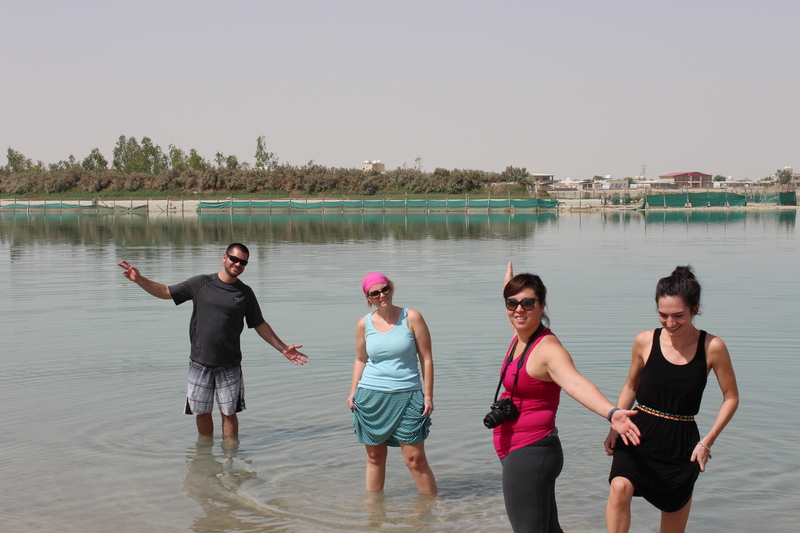 Well I am beginning a totally new list and it is going to be titled: You might be in the Middle East if…. You might be in the Middle East if your security guard is wearing a scarf and a winter hat when you walk out to the bus in the morning while it is 75 degrees outside. You spend more inside the gas station on snacks then you do outside filling up your gas tank. Last weekend we enjoyed the sweet taste of FREEEEEEDOOOOOMMMMMM (make sure you yell that like William Wallace’s Braveheart voice). Since moving to Kuwait we have been car-less. Kuwaiti law is that you cannot purchase a vehicle until you have a Civil ID, so as our paperwork is being processed, we have been bus and taxi people. It is super awesome that our school provides free transportation to and from school everyday, however relying on taxis to take us to the grocery store or to find some entertainment has been….kinda sucky. We love being able to just jump in the car and go, and that has been striped from us for the last month and a half, so last weekend we rented a car! 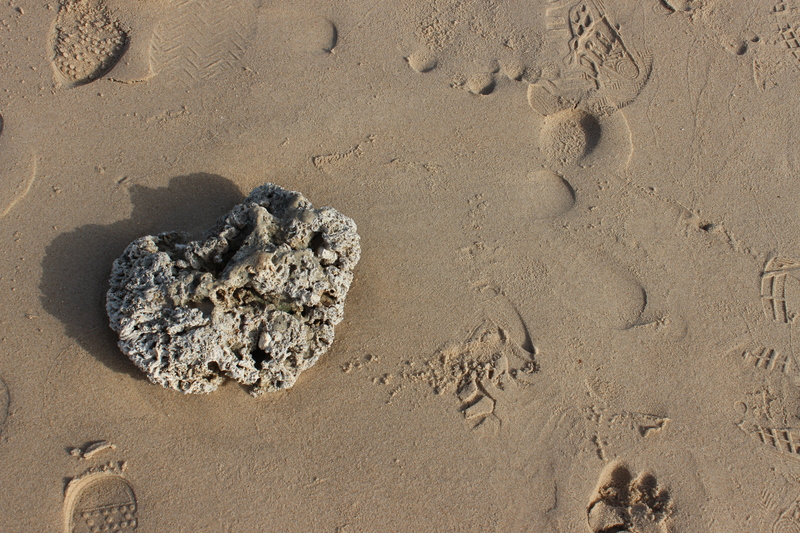 I knew that the number one thing on my weekend to do list, after the car was in our possession, was head to the beach. 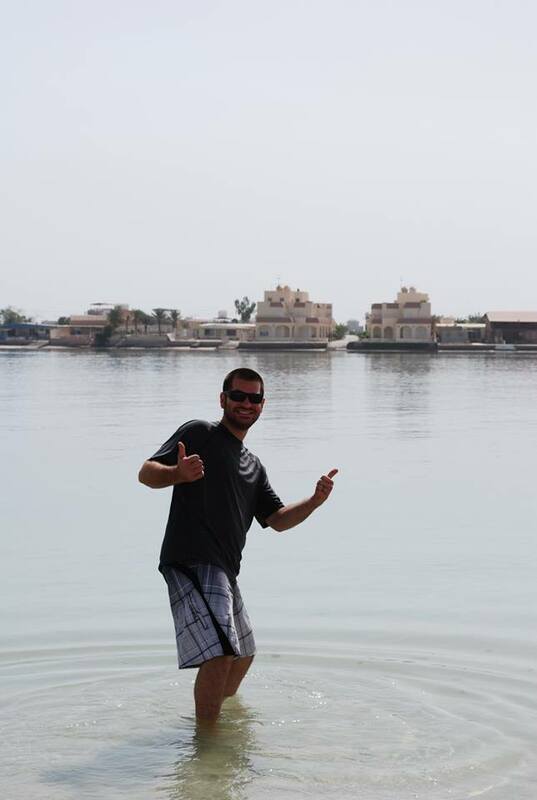 We have heard from our Kuwaiti veteran friends that if we headed south towards Saudi, we would run into some awesome private beaches that we could spend our day enjoying. 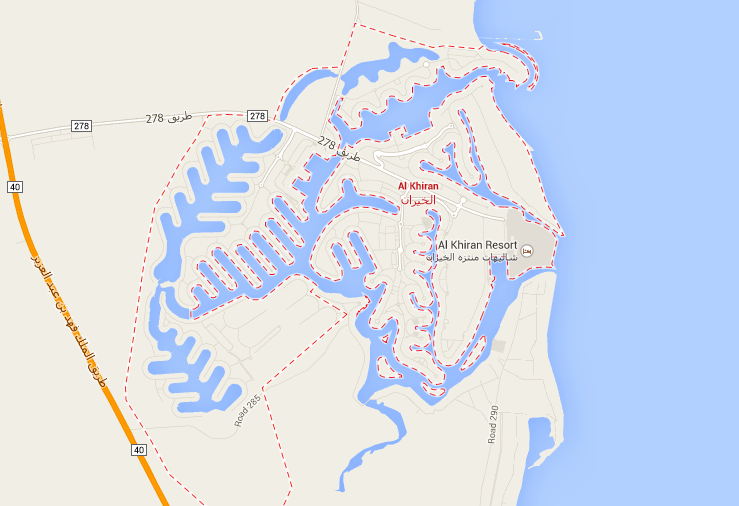 Al Khiran is a resort town, where they dug out tons of channels to create more beaches and space for chalets on the water. This is a google map view of the area. We woke up early on Friday morning, piled the vehicle full of our friends and headed south. As we drove through the desert I spotted something strange off in the distance. As we pulled closer we realized it was a wild herd (flock, school, pack, I guess I don’t know the proper terminology) of camels!….yes you read that right, FRICKEN CAMELS! We realized in that moment we were in for a stellar day. 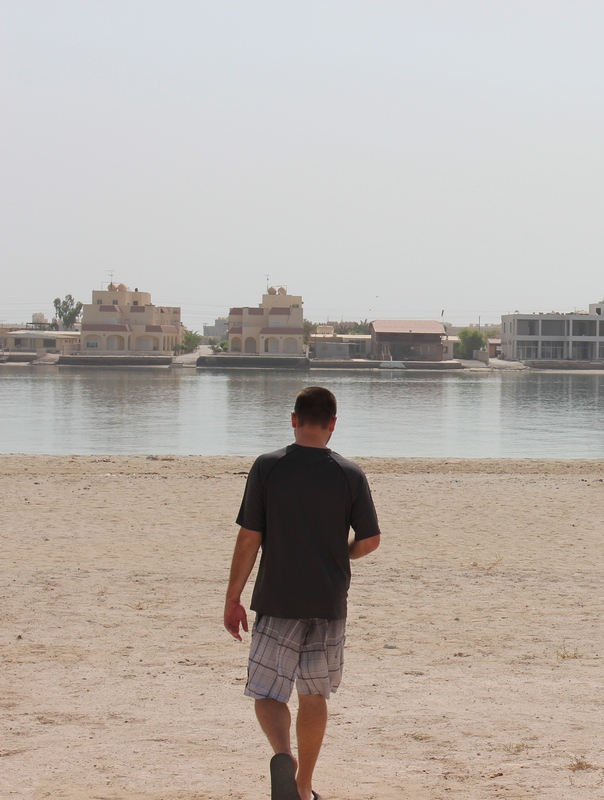 We pulled into the Al Khiran area, which is where many Kuwaiti’s have their weekend chalets, which is like their weekend lake home to us. Now let me tell you something, these were MANSIONS, not like any cabin I had ever seen before. These places were the opposite of the outhouse using, lake shower taking, generator using cabins we are used to. 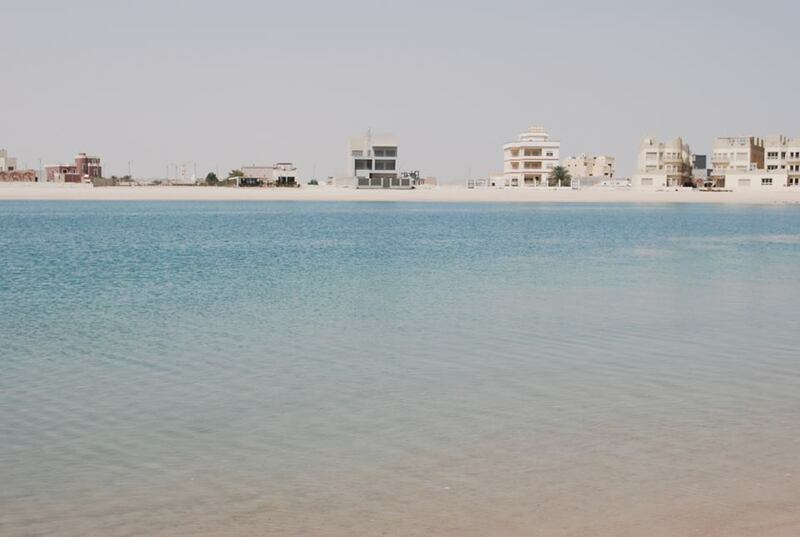 Al Khiran doesn’t have any public beaches but we were easily able to climb a ditch and jump over a concrete barrier to reach the beach just fine. 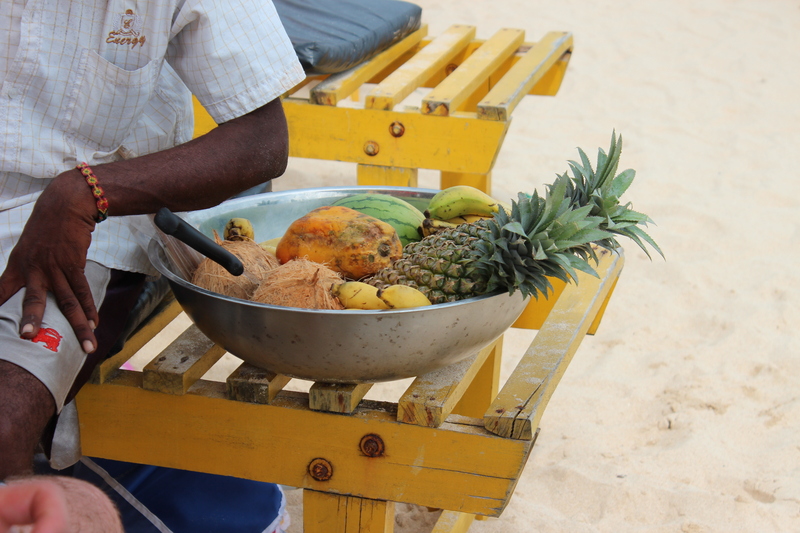 Once we made it to the beach we were in Heaven. We had the whole place to ourselves. We laid in the sun, splashed in the water, and talked about how amazingly happy we were to be having this day. The only thing we wished as we had our lazy sun day was that someone would ask us to house sit for them at the Kuwaiti version of a cabin. So if you happen to be reading this post and own a Kuwaiti chalet, and are looking for someone to housesit…I’m your girl. Al Khiran, we will be back again, very, very soon! I think we have published about 30 or so posts thus far, and you have probably noticed a common theme among all of them by now . . . . . it’s hot in Kuwait! With the heat comes sweat, yuck! I’m proud to be a natural born sweater. I think about heat, and I swear that I will break out in a sweat. With sweat, comes the need for deodorant, lots and lots of deodorant! Some of you already now that I’m not to keen on “change.” Sure, I can quit my job, sell our house and change our lifestyle, however the thought of changing the little things in my life freaks me out! For example, I order the same exact things at every restaurant we ever go to. For as long as I can remember, I have ordered the same exact sandwich at Subway. When we go to Chipolte, sure I look at all of the choices of toppings for my burrito, but I always order the same exact thing. Another thing that I could never change is the type of deodorant I use. 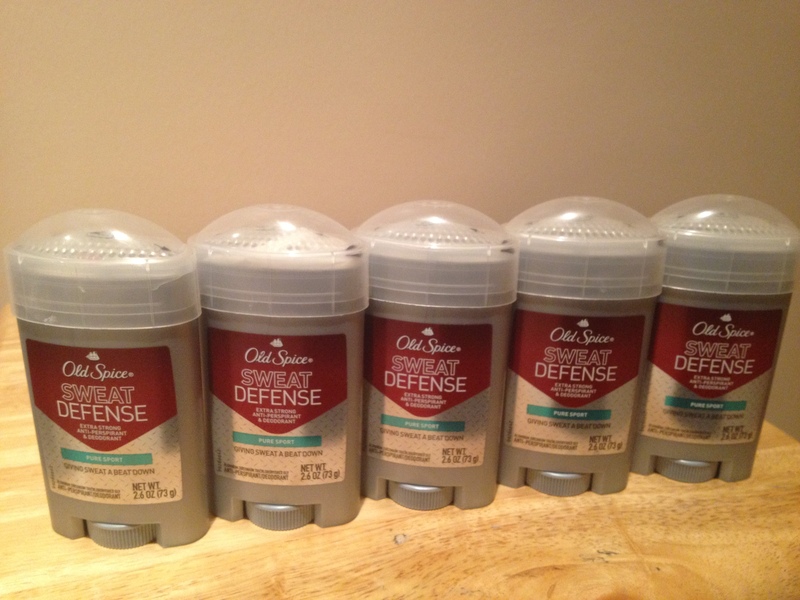 For as long as I can remember, I have used Old Spice – Sweat Defense: Pure Sport. Before we left Minnesota, my plan was to buy about a dozen of them so I could survive the intense heat and sweating in Kuwait. For whatever reason though, life got busy before we left and I totally forgot to stock up! Once we arrived in Kuwait, and after using about 20 “clicks” of D.O. per day, I quickly realized that I should have sent a freight container of deodorant with us! When we went on our first grocery store run here, I took a look and realized that they didn’t have any Old Spice deodorant! I had a minor meltdown in the D.O. aisle before settling on another brand. I was crushed that my loyalty with Old Spice was over, and I was forced to make a change. For about the next two weeks, every time we would go to a store, I would go straight to the deodorant aisle to see if they had my kind. Unfortunately, I couldn’t find it at any stores, until one day, I stumbled upon it! I was at a new branch of the Sultan Center (a grocery store chain here) searching the deodorant aisle for my treasure. Just like the other four stores I checked, I was unsuccessful. As I was walking out of the aisle, I happened to take a glance at the section of toothpaste when SUDDENLY my eye caught something! In the middle of the display featuring all of the toothpaste, brushes, floss, etc. was my deodorant! I wanted to shout with glee, but instead gave a double fist-pump. Knowing how hard it was to find, I grabbed every single stick of deodorant that they had . . . . . all five of them! With the other groceries in my hands, I couldn’t even grab all of them so I had to go and find a basket to carry everything. The good news is I found my favorite deodorant, the bad news is that it will probably only last about 2 weeks before I’m on another wild goose chase trying to find another stash of them! The best deodorant ever! This supply should last me about 2 weeks or so. 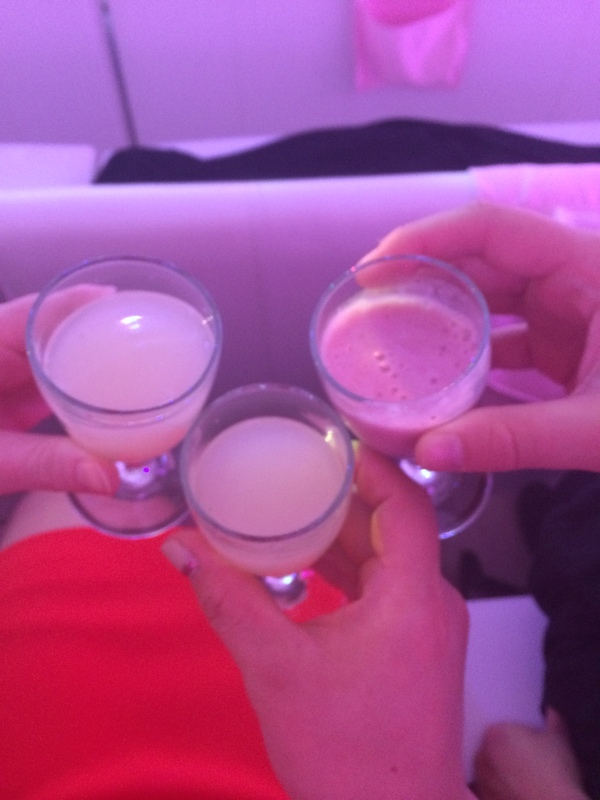 -Cheers, have a great “sweat less” day! I did something this weekend I only dreamed would happen during our time in Kuwait, I attended a Kuwaiti wedding. It was such a beautiful and special event full of so much tradition. There is no way I will be able to paint a picture with my words of how extraordinary it was but I know if I don’t try I will complete regret not sharing some of this amazing event. 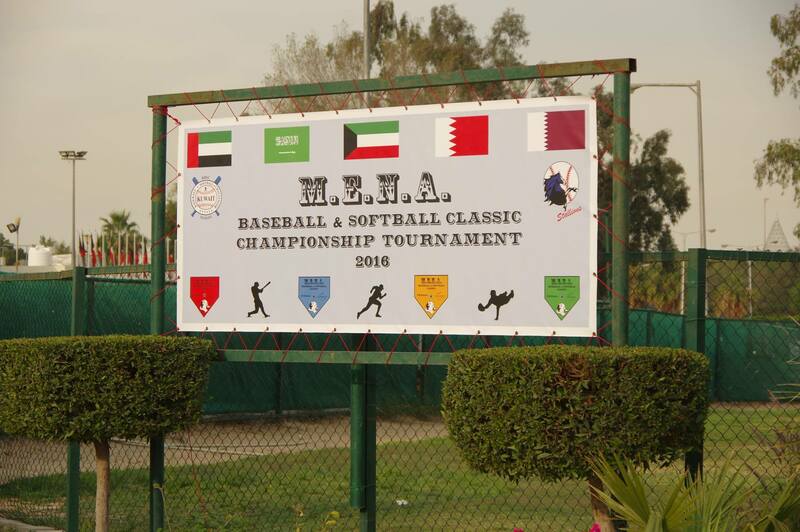 How we got invited: Kuwaitis are known for being very hospitable but it still took me by complete surprise that on Thursday when my friend Jooles meet the mother of one of her students that she invited her to her daughters wedding….scheduled for the following evening! 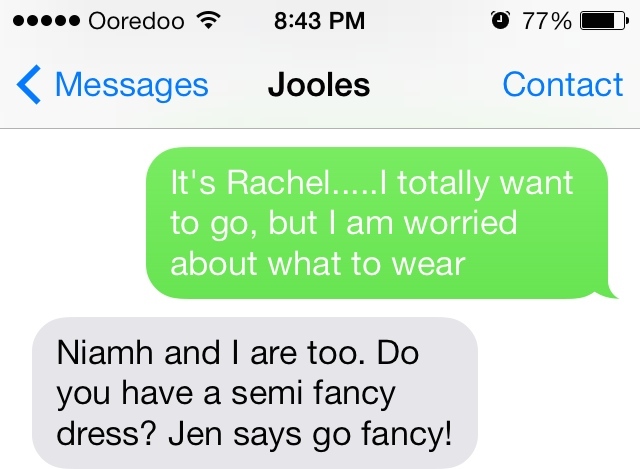 Jooles of course did the polite midwestern thing and politely declined. 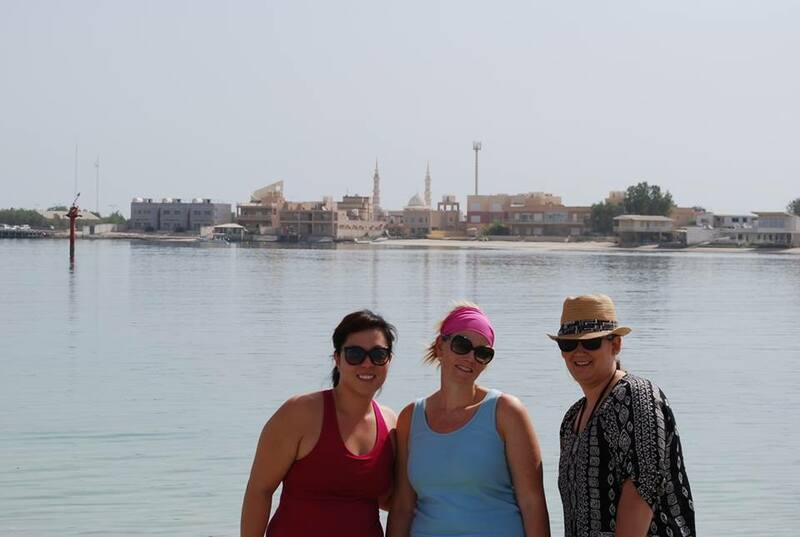 The Mom followed up with Jooles on Friday morning telling her how she really would love to show her a traditional Kuwaiti celebration and told her that she was more than welcome to invite a few friends, enter Niamh and Rachel! What to wear: When Jooles texted on the morning of the wedding and asked if I wanted to go with her, I of course had a typical girl melt down, what do I wear? Jen is a returning expat and has become our own personal Kuwaiti Encycoldia, she has been unbelievable helpful so if Jen says go fancy, we have to go fancy! I knew I needed to put together a fancy outfit but here in lies the problem, I just moved to the desert to teach, and only had clothes that were suitable for circle time and recess duty. If teachers are nothing else though they are resourceful so somehow in my stash of cardigans and denim jumpers covered in apple appliqués I found a black dress, black heels, some tights, and a black scarf to cover my hair and shoulders if I needed to be more conservative. Driver: The fabulous Kuwaiti hospitality jumped into affect once again as it was time to leave for the wedding. The mother of the bride sent a driver for us (as if she didn’t have anything else to think about, on the day her daughter was getting married.) Having a driver is a pretty typical thing here in Kuwait, Mitch and I have a driver in fact, his name is Abdul and he drives a white and yellow taxi cab. The driver who came to pick us up for the wedding wasn’t in a white and yellow taxi, they were in a black Mercedes. We didn’t realize it at the time but we were his main responsibility for the evening. He came and picked us up, dropped us off at the wedding and then stood outside and waited for us to be ready to go home…..for 6 hours. Arrival: We arrived at the wedding at about 8:15 p.m. for a wedding start time of 8:30. 15 minutes early is very typical of how I would arrive to a wedding in the US, but clearly that wasn’t protocol at this Kuwaiti wedding. We were one of the first to arrive and guests continued to arrived for the next two and half hours. The bride made her first appearance at 11:00 p.m. The Fashion: I followed Jen’s advice and went fancy with my clothes (or as fancy as I could scrounge up out of my wardrobe that almost exclusively has clothes from Target in it) however; I was not prepared at all for how significantly under dressed I would be. As the women arrived at the wedding they were wearing their hijabs and abayas but once they entered the ballroom (where it was exclusively women all the men were in a different ballroom having their own party) they uncovered to reveal the most amazing collection of gowns I have ever seen. There was gold, sequin, hot pink, diamonds, tight dresses, and cleavage. This party was clearly more than a wedding, it was a fashion show, and the guests were the models. Every women who walked through the door looked as if she was just about to walk across the stage at the Oscars. Dancing: I didn’t expect to see any dancing at a Kuwaiti wedding because my understanding was that dancing was against Islamic beliefs, however; the ballroom was arranged with stadium seating couches on either side of the ballroom with the middle of the room left open for dancing. After some reading online it sounds like it is against Islamic beliefs to dance at mixed gender gatherings, since it was only women at this party we got our groove on. It was discovered that I have two left feet on both sides of the Atlantic. Bride’s Entrance: At 11:00 p.m. we got our first sighting of the bride. Her grand entrance consisted of her walking across the runway shaped dance floor to the opposite side of the room where a stage was set up with a large couch situated for her to sit on. Once the bride made her entrance she never moved from that couch again. People were allowed to walk up to her and get their picture taken with her but she didn’t move again until she exited the party 2 hours later. Groom’s Entrance: As I mentioned earlier this was a segregated party. All the men were in one ballroom and all the women were in another. There was however one part in the evening where some of the men were allowed to enter into the women’s party. As we were all dancing and have a great time an announcement was made in Arabic, which clearly meant that we didn’t have a clue what was going on, which caused all the women to scurry back to their seats and go from the glitter and glam that was the night to once again fully covered in the black that is their abayas and hijabs. I still don’t know what the announcement was but I assume it was something along the lines of “quick, cover up….the men are coming!” Once everyone was covered the double doors opened to a groom in his white dishdasha with the biggest smile you have ever seen spread across his face. Entering with him was both the brides and the grooms immediately family and the band whom we had been listing to all night but whom we had never seen. These men would be the only men allowed into the women’s party the entire evening. Upon entering the groom walked toward his bride who was still sitting on the couch in the front of the room kissed her on the forehead and then hugged and accepted congratulations from the men in their families. The men in the groom’s family had to immediately exit however the brides male relatives remained long enough to take family picture. Food: At this point it was 1:00 in the morning when an announcement was made in Arabic and everyone began to stand up and move about. We foolishly assumed that this meant the wedding was over so we gathered our things and began to make our way to the door. The mother of the bride saw us heading in that direction and informed us that it was time for dinner and that everyone was just moving to a different ballroom where the buffet was set up. 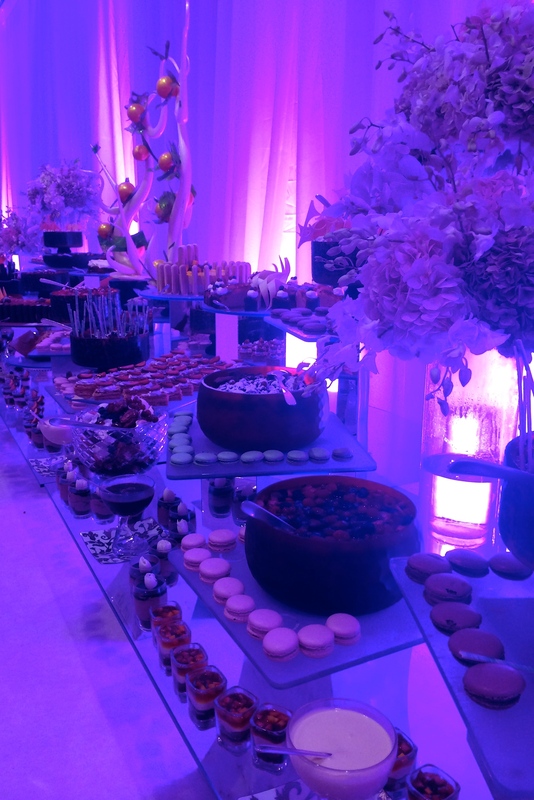 We walked into the room with the buffet and were blown away with the amount of food that was being presented to us. We proceeded to stuff ourselves on chicken, prime rib, sushi and shrimp. We could have eaten there for a month and never be able to taste all the options. The Cake…..MY GOSH, LOOK AT THAT THING!!!! The Bride and Groom even cut a piece out of it. All in all in was a fabulous night. I feel extremely fortunate to have been included in such an amazing opportunity to learn more about the Kuwaiti culture, and Jooles if you are ever looking for another plus one, count me in! Please note, as fabulous as this event and the people were on this night we respected local custom and privacy by not taking pictures of the women while they were out of their hijabs and abayas. Sorry that the only pictures you get are of three very happy American girls! The other day a group of us headed to one of the oldest and most popular markets in Kuwait City called Souk al Jumma, or commonly know as The Friday Market. This place is a HUGE open-air market that is only open on the weekends. 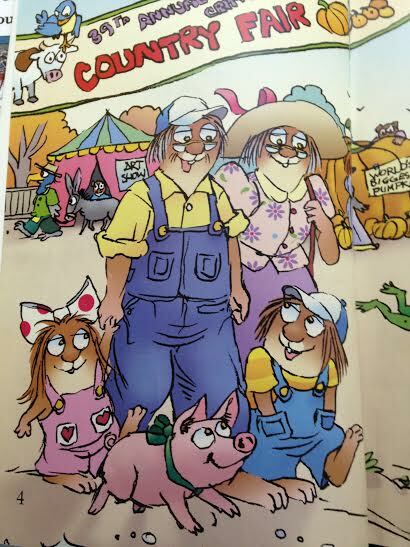 There are hundreds of vendors who sell just about anything you can imagine, including clothing, rugs, electronics, furniture, toys, antiques, tools, plants, and apparently even animals! (We didn’t make it to the animal section, but apparently it is not a place for the faint of heart) You would need an entire weekend to walk through the whole place, and it’s highly likely that you would still miss something! 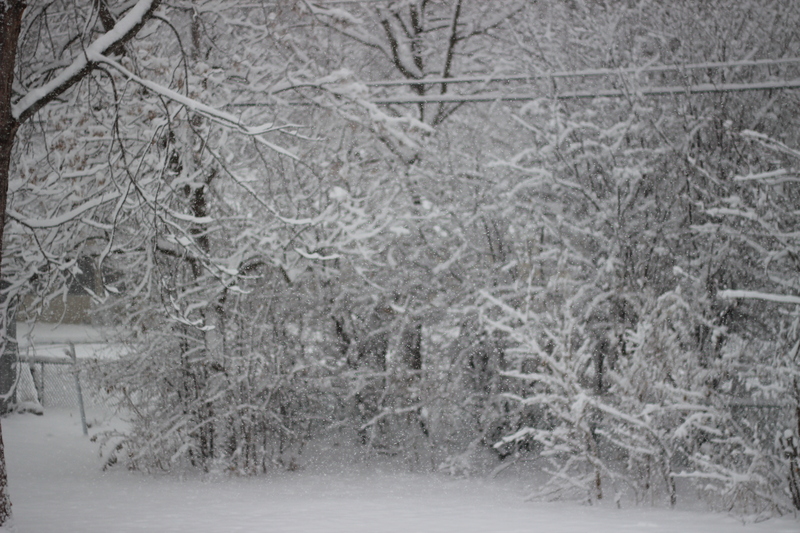 This is the view inside one of the shelters. There was over a dozen of them, and each one is bigger than a football field! It wasn’t long into our exploration of The Friday Market before my eye caught something familiar . . . . a Minnesota Vikings jersey! As one of the Vikings’ biggest fans, I was super pumped about my find! 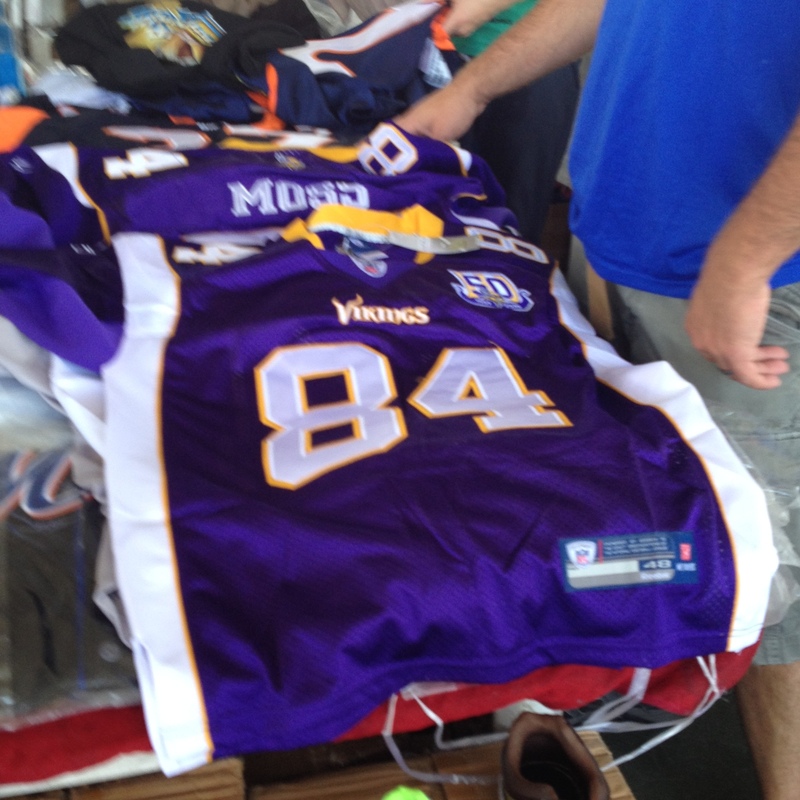 I walked a bit closer and realized it was a #84 – Randy Moss jersey. The guy hasn’t played for the Vikings since 2004 (besides that weird stint in 2010) but he’s always been one of my favorite players. In fact, I still remember my 16th birthday present in 1998, when my parent’s bought me a Randy Moss jersey during his rookie season. I don’t know what ever happened to that jersey from 15 years ago, so I knew it was time for me to get a new one. Plus – I realized I needed something to wear during the Viking games. I really wanted this jersey, so I began executing Stage 1 of my ‘wheeling & dealin’ plan! Even though I was super excited about my find, you never want the salesman to see it because then he knows you will pay any price for it. Therefore I pretended to look at the other merchandise he had for sale, and then “stumbled” into the jersey. I immediately put it down and started walking away. 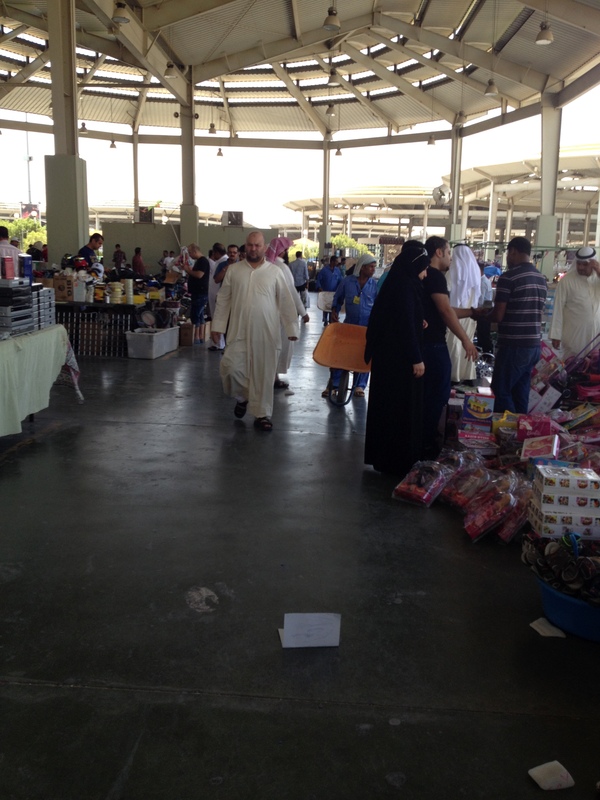 Before I could even leave his small 10′ x 10′ area, he yelled out, “Ok, 2.000KD ($7.00)” I knew things were going in the right direction but I told him I wasn’t paying more then 1.000KD ($3.50) and continued walking away. I knew I would be back, so I took special note of where he was located. About 30 minutes later, on our way to the grocery store to cool off in the air conditioning, I decided to purposefully walk by the jersey again. I reminded the guy that I would pay 1.000KD ($3.50) for it, but he said no, so we just kept walking. About an hour or so later, I did another one of my purposeful “walk byes.” This time though, I just held up 1.000KD in cash and kept on walking. I made eye contact with the guy, but he never initiateded conversation with me. All I could think was, “damn, this guy is good.” It was time to break out Stage 6. Usually Step 5 seals the deal, so I was bit nervous during this stage based on my inexperience at this level. I knew I had the guy wrapped around my finger though, so we could get the deal done. I went back for a THIRD time, and approached the vendor with cash in hand. I decided to up my offer to 1.500KD ($5.00) and explained to him that this was my final offer. He said the lowest he could do was 1.750KD ($6.00). We were within $1.00 for the jersey, but I was not going any higher! After a brief discussion, we both realized that neither of us was going to budge on our offers. With that being said, I decided to walk away WITHOUT the jersey! As much as I wanted the jersey, I wanted to win the negotiating battle even more! I love the thrill of the hunt and in this case I lost the prize. 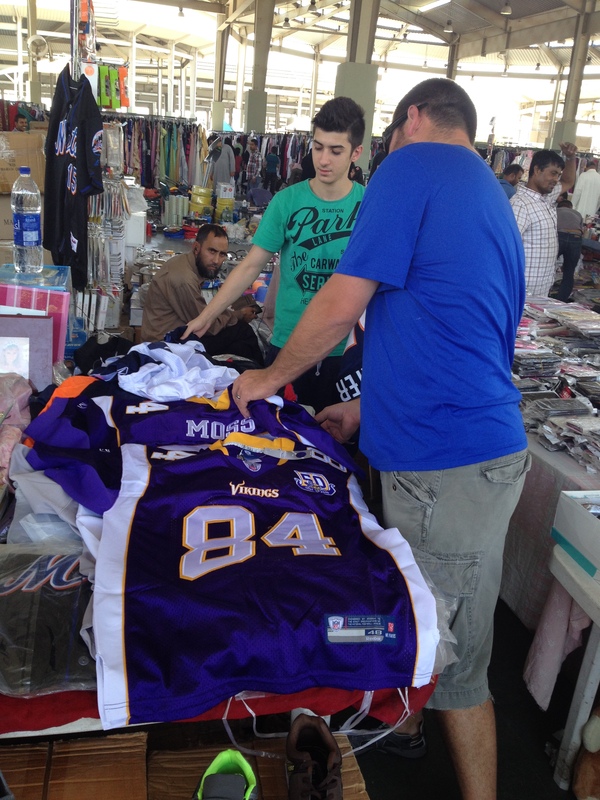 He was the more experienced negotiator, or perhaps he knew there was someone else in Kuwait who would buy the vintage Randy Moss jersey from him. When we go back in a few weeks, maybe he will still be there trying to sell the jersey! Throughout this whole process, we had a ton of fun at The Friday Market. We can’t wait to go back later this winter when the weather cools down, and we can explore the market without sweat running into our eyes, causing an uncomfortable burning sensation! It was fun to just look at the wide variety of merchandise that people were selling, and watching all of the wheelin’ and dealin’ that was going on! 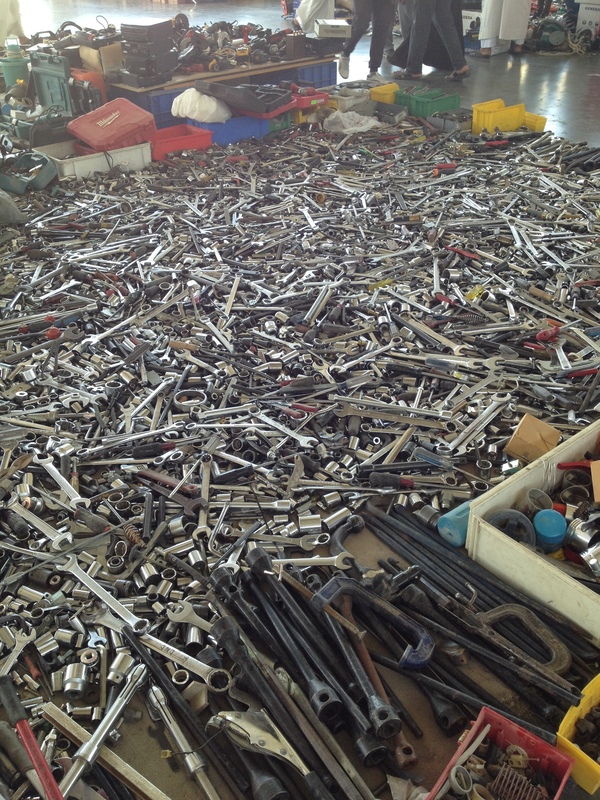 This vendor was selling various tools, and hundreds of sockets! Could you imagine digging through that pile looking for a 7/16″ socket! 1. What are you most excited about? 2. What do you think you will miss the most? Stitch Fix: It has only been in the last couple of months that I discovered this online clothing styling service, and let me tell you getting those little blue boxes in the mail will be greatly missed. Basically you fill out an online style survey and then you get clothes hand-picked and sent to you. 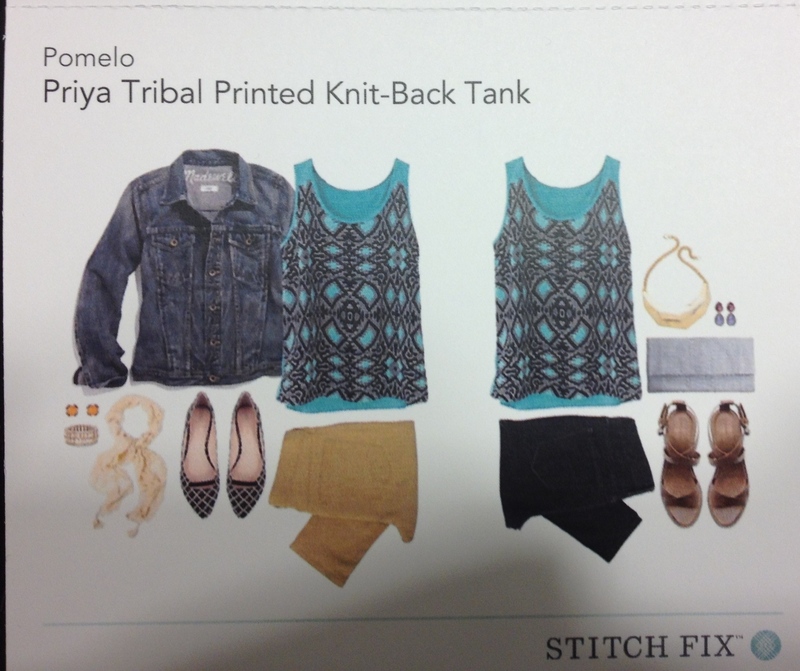 To read more about Stitch Fix and to give it a try, check out this link. Full disclosure, if you sign up under that link i will receive a referal credit of $25 and you will be participating in feeding my addiction to these cute clothes! 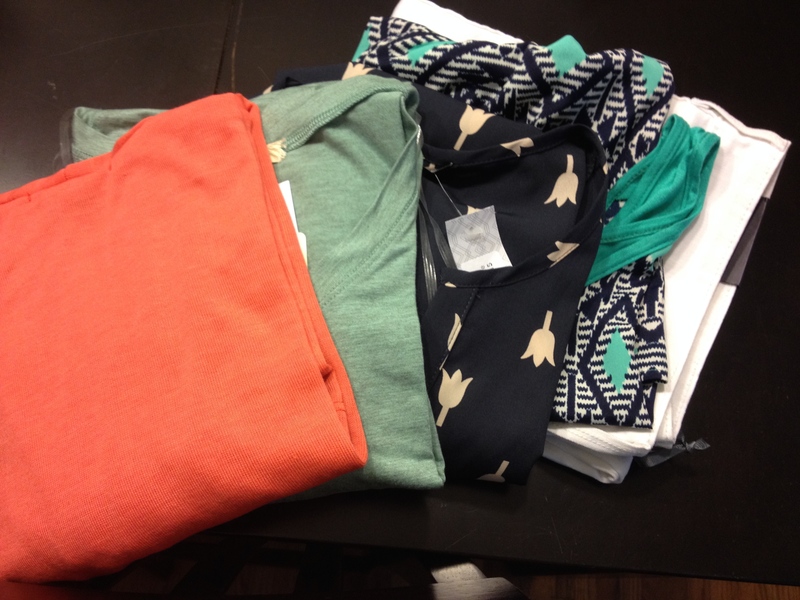 Stitch Fix does a great job putting different styles together. Family Gatherings: I already know I will experience homesickness, especially on those days when I know our families will be having special events or celebrating holidays. I am also sad we will miss family traditions, like signing the table cloth at Thanksgiving or the annual boot hockey game at the Johnson family Christmas party. I will also miss not being at the triplets first birthday party, or other family gatherings. I know these days will be amongst the hardest. Chipotle: This will be missed. Seriously, seriously missed. 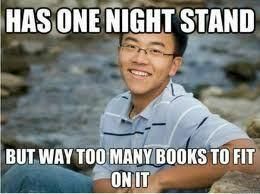 The Library: Even though I have a nook that is significantly overstocked with books, being able to walk into the library and grab a physical book will not be something I am able to do. As much as I love technology and the ease of traveling with e-books, I will miss holding books. 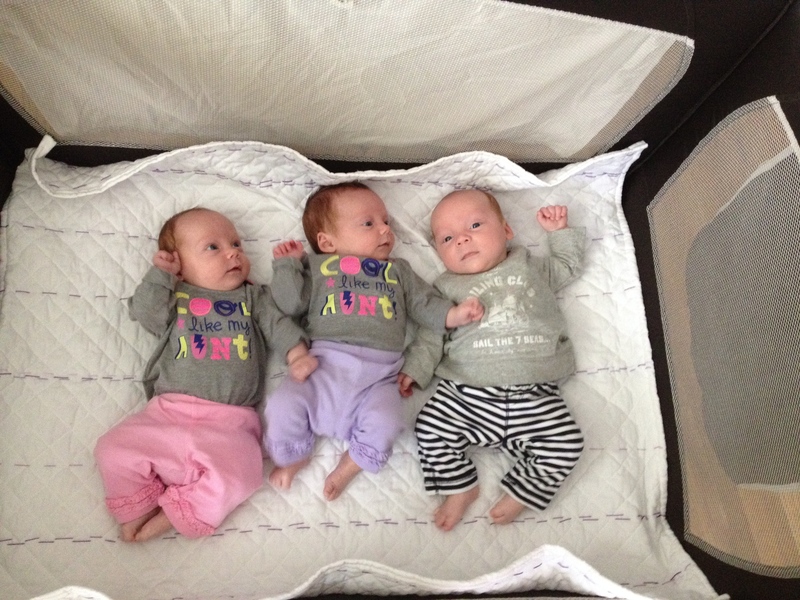 Kelsie, Carter & Cora: I was right when I said that I was going to miss these three….a lot.